Heavily-armed Fulani herdsmen carried out raids on communities in Kaduna State, central Nigeria, on 19 and 20 February, destroying homes and claiming at least 26 lives, including two policemen. 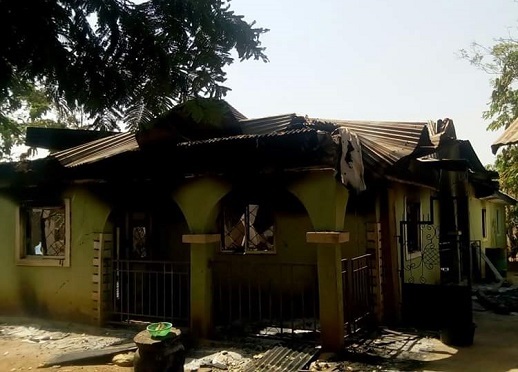 According to CSW, hundreds of militiamen reportedly descended on Bakin Kogi in the Kaninkon Chiefdom of Jema’a Local Government Area (LGA) in southern Kaduna during the evening of 19 February, burning down houses, killing at least seven people and leaving scores more injured. The State government has responded to the latest killings by relocating the Army Commander and Police Commissioner to southern Kaduna, ostensibly to coordinate the response to “bandits”. However, it has also accused church leaders, activists, journalists and even traditional rulers seeking to raise awareness about the violence, of committing hate speech, incitement and attempting to secure foreign funding. Several have been taken in for questioning or briefly detained. This is the account of a survivor of a November attack in Chaiwai village in the Kaura Local Government Area of northern Nigeria’s Kaduna State. 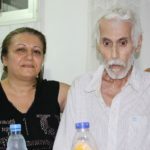 “They shot at pigs and stole goats, sheep and grain, while they burnt churches and houses,” said the survivor, who did not wish to be named. The November massacre in Chaiwai turned out to be only a prelude to a string of other attacks against indigenous Christian communities in southern Kaduna over the 2016 Christmas period – attacks thought to have been perpetrated by Muslim herdsmen from the Hausa and Fulani tribal groups. And the attacks have continued into 2017. 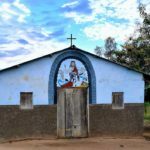 Between 7-12 January, a large number of heavily-armed Fulani herdsmen targeted the Christian communities of Kagoro and Kafanchan, two towns where families have been hosting people displaced by previous attacks, local sources told World Watch Monitor. The attackers destroyed most of the surrounding villages and farms, while countless bodies were abandoned in the bush because people were too scared to collect them after those who tried to do so were attacked. 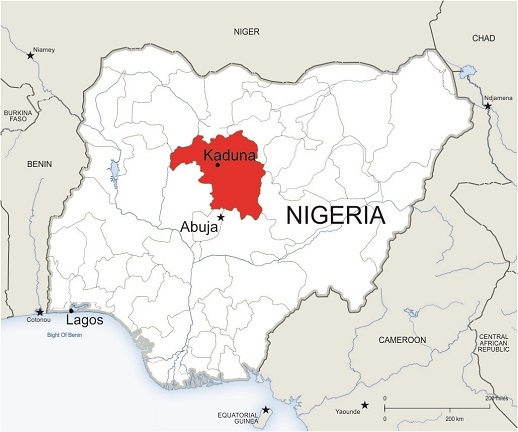 According to the leadership of the Catholic Diocese of Kafanchan, a total of 808 people were killed in 53 villages across four Local Government Areas in southern Kaduna from 2011 until the end of 2016. The church leaders said 57 people were injured; farm produce estimated at N5.5 billion (US$18m) was destroyed, and a total of 1,422 houses and 16 churches were burnt down. However, the state government blamed foreign elements (from Niger, Mali, Senegal, and Cameroon, among others) for the attacks. Governor Nasir El-Rufai said “the attackers are foreign Fulani herdsmen, who were avenging past attacks on them and their livestock”. El-Rufai also admitted to paying them money to stop the killings. The Nigerian Minister for the Interior, Abdulrahman Dambazau, described the violence as criminal rather than religious. He said the attackers do not discriminate along religious and ethnic lines. 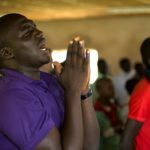 But the Christian Association of Nigeria (CAN) insists that the violence is religiously motivated. Islamists, CAN claims, want to eliminate Christianity in southern Kaduna and occupy the land. CAN contends that the Hausa-Fulani herdsmen have seized and occupied 16 villages in southern Kaduna with their cattle and families, after terrorising Christian natives. The situation in southern Kaduna has become so bad that the UN Special Rapporteur on Extrajudicial, Summary or Arbitrary Executions is investigating the killings. Dr. Agnes Callamard has confirmed that she is probing “recent allegations of killings of over 800 citizens – mostly women, children and the elderly – in southern Kaduna by suspected herdsmen, to identify the perpetrators and bring them to justice, and to provide reparations to victims”. 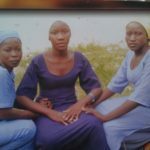 The conflict in southern Kaduna has a long history. More than the issues of indigenes versus settlers, Christians versus Muslims or farmers versus herdsmen, Christians say it’s about marginalisation and exclusion. Since colonial times, there has been the imposition of Hausa-Fulani Muslim chiefs over minority-Christian groups. Many indigenous ethnic groups have been forcefully brought under the Sokoto Caliphate. Their traditional chiefdoms have been turned into emirates and their chiefs are forced to be Muslims. These chiefs, most of the time, control the right to allocate land to Muslims and Hausa-Fulani herdsmen, stifling the indigenous right to land. As tribes and ethnic groups become more politically aware in southern Kaduna, many indigenous communities say they want to rectify this historical injustice. Atta Barkindo, a researcher and Phd student at the School of Oriental and African Studies (SOAS) in London who has just been in southern Kaduna, told World Watch Monitor that tension remains very high among Christian communities, despite the presence of security forces. The situation has led to the state government imposing curfew on a number of LGAs where the violence is most prevalent. The ongoing violence shows the failure of the government to ensure security, said Barkindo, who said many years of impunity were the root cause of the violence targeting Christians. He also pointed out that the government is Muslim-dominated. 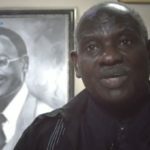 Looking at both the immediate and long-term causes of the southern Kaduna violence, Rev. Matthew Hassan Kukah, Bishop of the Catholic Diocese of Sokoto (in the far north) and Chairman and founder of The Kukah Centre (TKC), which specialises in interfaith dialogue, is working to put an end to the violence. Rev. Kukah is working alongside an ad-hoc group of stakeholders under the auspices of the National Peace Committee (NPC). On 13 January, the Committee met with Governor Nasir El-Rufai, and on 26 January it held another meeting with local religious leaders – representatives from the Christian Association of Nigeria and Jama’atu Nasril Islam (the Society for the Support of Islam). The Chairman of the NPC, Gen. Abdulsalami Abubakar, said the people of southern Kaduna should not be left to suffer alone. He also said that this was not a government mission, but one that concerned all Nigerians. The chief of Kagoro (one of the affected areas), Ufwai Bonnet, identified two major contributing factors to the violence: religion and greed. He said that people are quick to use religion as a cover for their actions and that there has been a gradual and steady radicalisation of society in Nigeria. The Chief of the town of Godogodo, through his representatives, noted that Fulani attackers have taken over some of the town and positioned snipers to take out anyone who attempts to return. There is now also a risk of famine, as the Fulani herds have used up all the crops planted by the indigenous farmers, some of which was due for harvesting. The NPC, through the Kukah Centre in Abuja, has organised an independent investigation into the conflict. Using the information obtained, the committee has said that it will provide a policy analysis that will inform government strategy formulated on facts, rather than on prejudice and sentiments. Additionally, the committee has said it will advise the government and relevant stakeholders on how to end the conflict and move forward.